Considering the current state and future objectives of the transmission of real live stories and lessons across generations and regions. In 2005, a disaster response training called "Iza! Kaeru" Caravan which uses the fun 'n learn approach was developed to commemmorate the 10th anniversary of the Great Hanshin Earthquake. Since 2007, this educational disaster response program has been led by a local univeristy and NGO of Yogyakarta, Indonesia, where the Central Java Earthquake victimized a great number of people. 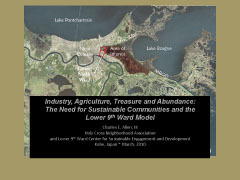 Our activity continues to extend to larger audiences. I will be introducing and sharing the process of this activity in regards to how it started from Kobe to Yogyakarta. Our mission is "to incorporate creativity and the infinite possibilities of art, design and architecture to resolve various issues of modern society." 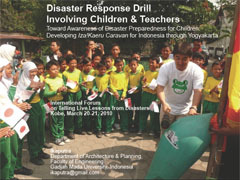 By focusing on the invention of the fun 'N' learn disaster response program called "Iza! Kaeru" Caravan, our work is to collaborate with municiple and regional groups as well as businesses to develop and promote educational activities in the evolveing fields of disaster prevention. The Noda-Hokubu area, which was devastated by the Great Hanshin-Awaji Earthquake of 1995, was the first to regain the ordinary life throughout Kobe City. The reconstruction of the area was led by the Noda-Hokubu Machizukuri Kyogikai (Noda-Hokubu Town Buiding Association) which had been set up two years before the 1995 earthquake, going through an active and prompt reconstruction process. 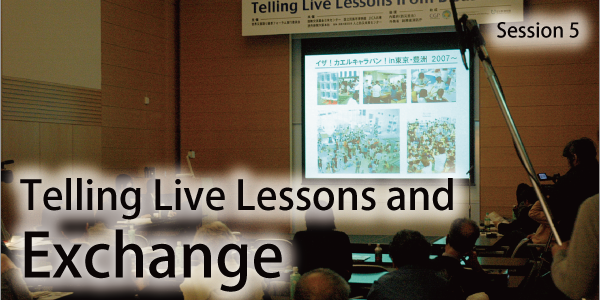 Based on the successful experienes of the process, the Kyogikai (Association) contines to help solve problems and further develop the local community by cooperating with local residents, associations, bodies, and NPOs in addressing various local challenges. 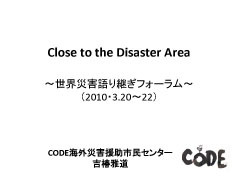 After the Great Hanshin-Awaji Earthquake of 1995, I have been active with disaster-stricken areas and victems inside and outside Japan, under the theme of "getting close (to victims)." One must learn not to unilaterally inherit the wisdom and experiences of Japan as a leading nation in disaster prevention and recovery, but to aquaint oneself with the landscape of culture of the stricken area and uncover their buried wisdom by getting closer to the people. That will lead to disaster reduction in the future. Born in Fukuoka in 1968. After learning martial arts and oriental medicine, began working for NGOs. 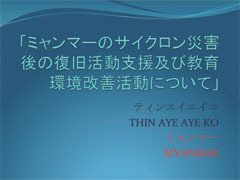 Joined NGO activities to support indigenous people in North America and hill tribes in Thailand in 1990. 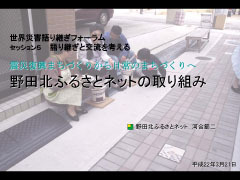 Started the "foot bath" volunteers for the 1995 Hanshin-Awaji Earthquake and passed the activity on to students for disasters in Chuetsu and the Noto Peninusal. 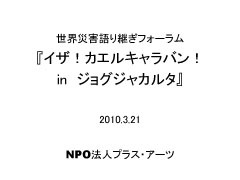 Wrote and published "Inochi wo Mamoru Chie" (Wisdom for Protecting Lives) in 2006 after visiting strickenn areas in Japan in search of disaster mitigation wisdom. Active in stricken areas of Java, Pakistan and Sichuan as staff member of CODE since 2004.